But this attempt of mine to connect up historical details is just minor left-brain stuff. — John Archer in his article “Paikea: 1870s” (New Zealand: New Zealand Folk Song, August 2007). Originally published (New Zealand: New Zealand Folk Song, November 5, 2003). 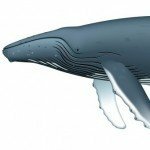 Field recording by John Knapp, Jr. excerpted from “Caribbean Humpback Whale” on the album “Rapture of the Deep: Humpback Whale Singing” (Bridgeport, Connecticut: Compass Recordings, 2001). Posted on behalf of John Archer on Saturday, October 16th, 2010 under Quotations. The shifting meaning of these signifiers. because the meaning of the word as generally understood by everyone has subtly shifted. Anyone who will subsequently witness one’s recorded expression will be perceiving something different. but differently than likely perceived. It is difficult to go back in time, to enter into the feel of the 1960’s, for example. is Michaelangelo Antonioni’s “Zabriskie Point” (1970). beholden by that vast shining light of Potential First Glimpsed, an exit, an escape. seeing what we want to see, seeing what you tell us. Seeing what you told us. You told us that it was not that easy. crained from your stinks, watched the world changing that you don’t see, so obsessed with your mirrored towers. You reminded us that the world doesn’t really care about your< ->our self-obsession. The world doesn’t really understand your full confession. and has been forced to smack some sense into you because you aren’t sensing the danger. The danger is that the world will cook you. You will become food for worms. perhaps because the world may not have a “mind” like we like to think about them. amidst this big infinite sea of infinite carrying capacity infinite nuance and infinite beauty, called Mind. onto this univocular singular point of contact with the physical world called our bodies. That may be tautological for a reason. Or not.